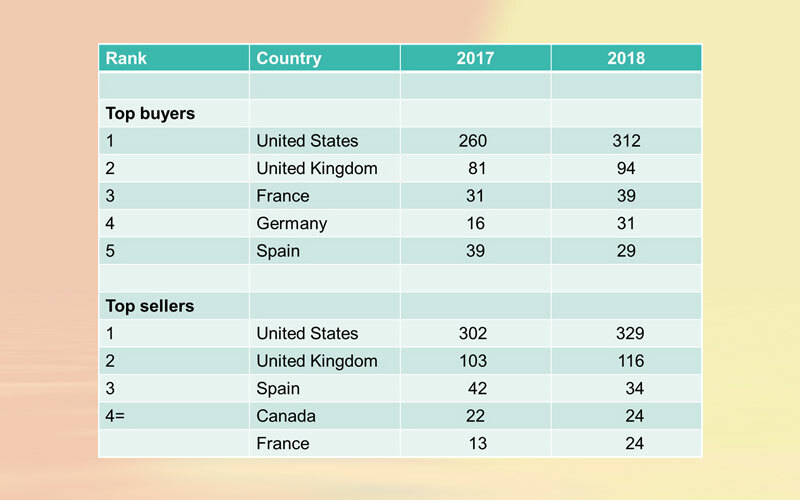 Coca-Cola, Cavu, Kerry, Waterlogic, Archer Daniels Midland, FrieslandCampina, Heineken, JAB and Lactalis were the most acquisitive companies of 2018, according to the bevblog.net food and drink transactions database, with each responsible for 5 or more takeovers. France was again the biggest net buyer (+ 15), followed by Luxembourg (+ 10) and Denmark (+ 9). The United Kingdom was the main net seller (- 22), followed by the United States (- 17) and Germany (- 16).